With all the recent talk about MaxFactor Fantasy Fire and the like, I recently found myself eager to break out my Clarins 230 again. And what better occasion to grab it than my acquisition of Illamasqua Baptiste, a gorgeous purple that makes a lovely underwear pairing for Clarins? All swatches are two coats of Illamasqua Baptiste and one coat of Clarins 230. If you'd like to see my previous Clarins pairing, please click here. Clarins goes perfectly with Baptiste because Baptiste naturally has a bit of redness to it (I think, anyway) that brings out Clarins' natural color. This pairing is closer to what many people prefer to pair Clarins with... that is, a dark purple or red. 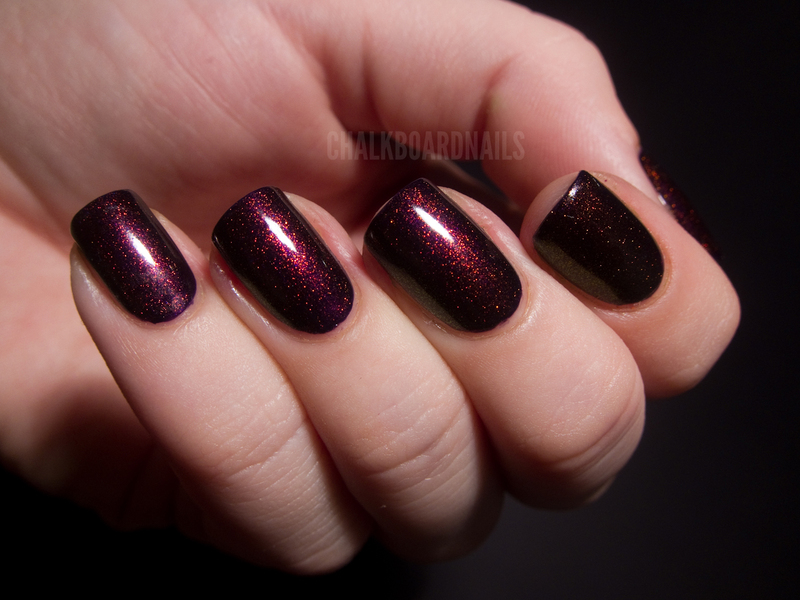 I do feel a little bad for posting a polish that is near impossible to get without paying ridiculous prices on eBay. But wearing it always makes me think of my dear boyfriend who bought it for me, and it is so beautiful that I can't NOT post it here. I hope you all can forgive me! By the way, if you want to have a shot at MaxFactor Fantasy Fire, which is a close cousin to Clarins, you can try entering Rhonni's giveaway over at Polish Ninja! I'm not mad at you at all for showing us this stunning combination :) It looks so beautiful! It's terrific, very, very beautiful! So gorgeous. Your nails look like they are glowing! So pretty! 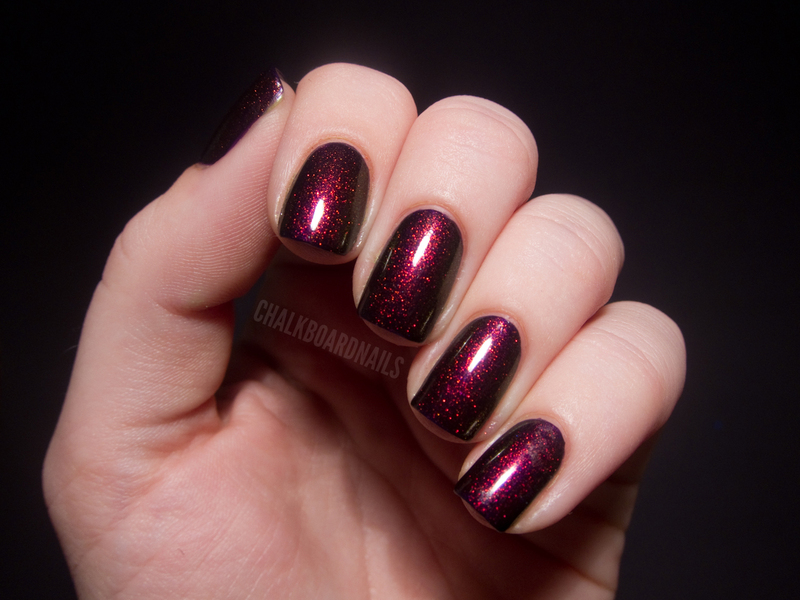 I really want MaxFactor's Fantasy Fire. Thanks for sharing! It's so beautiful. And such a shame they don't make this anymore. It is so beautiful wow, but I would never spend so much money to a polish and either I don't want my boyfriend to pay it for me. Wow, this is such an amazing polish!! It looks gorgeous.